Since its transition to digital, medium format has been thought of as bulky and heavy systems for high-profit commercial jobs or for wealthy photographers. Despite the attempt of Leica to create a smaller camera with the S series, no real alternative to the Hasselblad H and Phase One DF/XF has found a place on the market. However, this might change today with the brand-new Hasselblad X1D. The Hasselblad X1D is not to be confused with the Canon 1D X. Both are top of the line cameras with high price tags. However, they have nothing in common. The just-announced Swedish handmade camera is a mirrorless system with a medium format sensor. How is this something special you may ask? Well, let’s dive in. Medium format is known for its larger sensors. A full frame medium format sensor, such as the Phase One IQ3 100 MP, is 53.7x40.4mm versus 24x36mm for your traditional 35 mm camera — that’s about twice the surface. The X1D will carry a 44x33mm sensor. So, slightly smaller than a 645 full frame sensor, but still more than 1.5 times the size of a 35mm sensor. 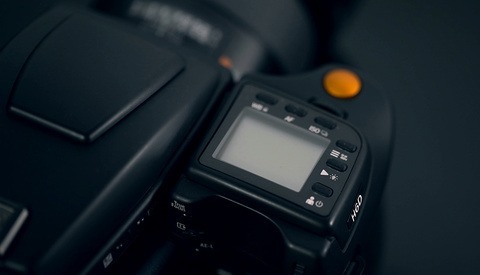 The sensor is similar to what is found in the Hasselblad H5D-50c or H6D-60c, but with a few tweaks. It seems like this revamped version can produce 16-bit images and not just 14, and also, the ISO can be pushed all the way up to 25,600 or as low as 100. But what’s really special about this camera is finding such a big sensor in such a compact body: only 1.6 pounds (725 grams) and smaller than most current 35mm DSLRs. 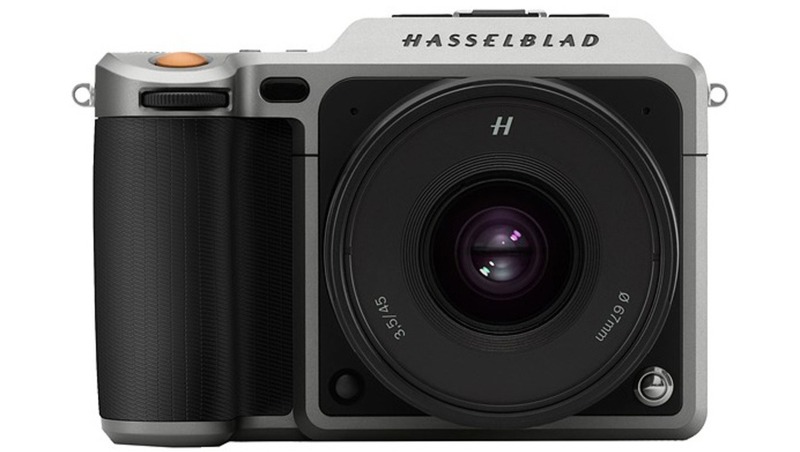 To achieve this form factor, Hasselblad made it a mirrorless camera. So, no prism here, only an EVF with a clear display showing all the main info you need to shoot. All the other settings, such as WiFi and GPS, can be accessed and adjusted using the multi-touch 3-inch screen. 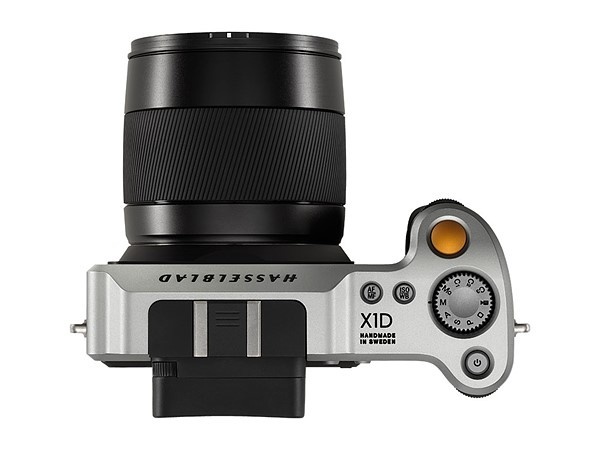 Wedding photographers looking for a way to step up their game and separate themselves from the crowd will be happy to see that Hasselblad put two SD slots on the X1D. Two lenses will be released with this new system: a 45mm f/3.5 and 90mm f/3.2 — respectively 36mm and 73mm equivalents to full-frame 35mm focal lengths. A wider focal length will be coming for Photokina, and it’ll be a 30 mm. The new lens lineup will be using a leaf shutter system allowing for shutter speeds between 60 min and 1/2000 s. Flash can be used at all shutter speeds. As those two lenses alone will probably not satisfy everyone, while new ones are developed, the H lenses can be used as well. A simple adapter will be required. 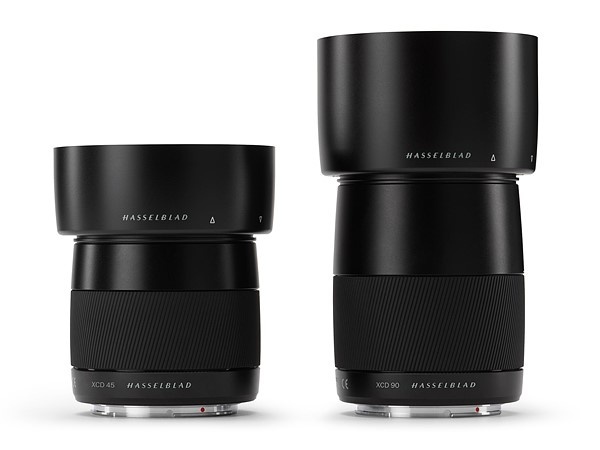 This will make the investment even more interesting for people that already own a set of Hasselblad lenses. The camera will be available for $8,995, while the lenses will cost $2,295 for the 45mm and $2,695 for the 90mm, meaning if you decide to buy both lenses with the body, it will cost you about $14,000. The two lenses and the X1D will be available by the end of August or beginning of September 2016. This camera, or system shall we say, is clearly not for everyone. While cheaper than most digital medium format solutions out there, but also smaller, it’s still a significant investment for many. 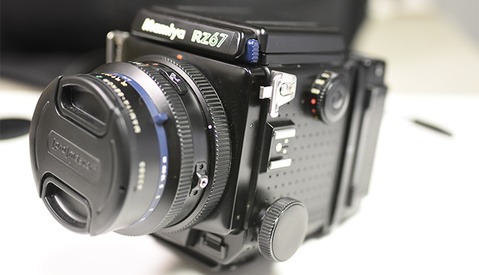 The first reviews will also say if the AF is better than the current medium format systems on the market. The new lenses feature autofocus, but no information was given regarding the capabilities of the camera's AF. If it is as good as the image quality, this might just be the perfect tool for wedding, portrait, and street photography, or just for wealthy photographers. It will also be interesting to see if and how Phase One and Pentax will react to this announcement. Phase One bought Mamiya a few months ago, and we might be tempted to dream of the Mamiya 7 being brought back to life with a hint of digital magic in it. This would make for a very captivating game between the two Scandinavian companies. 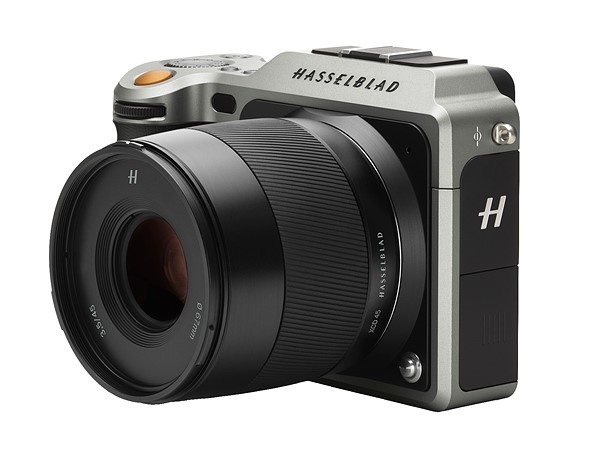 For more information about the new Hasselblad X1D, head over to Hasselblad's website. No doubt people will argue that you should be manually focusing anyway. It says on Hasselblad's page that the autofocus is contrast detect, so it's quite possible that you can move a focus point anywhere you'd like. The downside is that contrast detect is slow even with 35mm lenses, and I assume it's going to be even slower with large medium format lenses. Considering this, I hardly think wedding photographers are going to enjoy this solution unless they use manual focus. Probably true but Panasonics contrast detection system is very advanced and fast (I'm NOT an owner myself, just saying). I don't think this system will be quick though because the scanning speed for the sensor has got to be slow ~1/30 tops is my guess. There are some wickedly fast contrast AF systems out there now. The Leica SL is blazing. I use Canons with PDAF and my Olys and Panasonics with CDAF are not much slower at all. Moreover they are ALWAYS more accurate than the Canons. I really think CDAF is a credible competitor to PDAF these days particularly as this camera makes no claims to action photography like Canon and Nikon do. 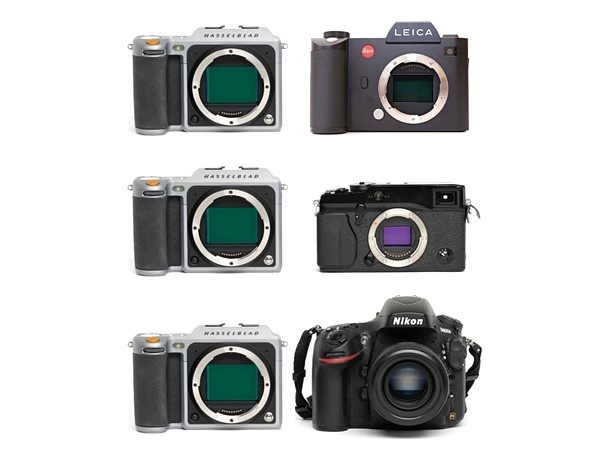 Not a single mention to Fuji as a possible competitors with all the rumors about a Fuji MF mirrorless? Makes more sense to compare to cameras that actually exist at the moment. Would love to see what Fuji could do though. Yeah, I'd be loath to give up my two tripod mounts. I love that feature, it utilizes the bulk in a really smart, practical way. My question here with the X1D is... in light of this, how do they justify a 26,000 dollar price tag for the H6D? I mean, I'm not really complaining, it's great to see the prices move below the five figure mark, but uhh... Come on guys. The lack of a leaf shutter is the primary reason I haven't jumped to Pentax. I hear that. I just got my first Priolite unit yesterday, and I took it out for a test run. The Hot Sync, as far as I've seen, closes that gap. I was afraid it was snake oil, and HSS solutions have driven me mad in the past, but full power at any shutter speed with any lens in my bag? It's crazy. I can't wait for my weddings this weekend. EDIT: I do realize a camera sync speed of 1/2000th IS an advantage to what Priolite is doing: Shutter speed past x-sync on the Priolites throttles the light in the same way that aperture does. So a flash with similar output would be brighter in frame at 1/2000 f/4 with the Hasselblad. But, with a longer max shutter speed outdoors you'd have to rely on aperture to control the ambient. I have the option to use a faster shutter. I think these compromises basically cancel each other out. ND filters fix your outdoor bright light problem. Ok, but then what are we even talking about? You could say that about any system, but the whole benefit here is to not have to risk compromising IQ with variables like filters. I mean, I'm not telling anyone what to do, if you don't want a Pentax, don't get a Pentax. But if this one thing was what held someone back, I'm saying there's a legit avenue to get the same results with some potential advantages. The only thing missing from the 645Z for me is a tilt-shift lens. If I were to ask for anything beyond this I'd probably have to say they should expand the ISO range on the low end. Both of those would definitely be interesting for sure. Very interesting, I wonder if the video would be full sensor or cropped? Isn't it also true that while larger sensors (such as the ones used in digital medium format systems) should theoretically produce wider dynamic range and lower noise, the reality is in fact that these sensors are generations behind 35mm sensors? Largely due to the fact that medium format market is much smaller, and technological innovation isn't driven as aggressively as it is in the 35mm marketplace? Aren't sensors in 35mm bodies (like the Nikon D810) ranked consistently higher than leading medium format sensors for this very reason? Not to mention autofocus technology in medium format systems has never had to be leading-edge, largely due to the fact that most medium format systems are designed for studio and commercial work, as opposed to sports and photojournalism. In that respect, medium format lacks behind 35mm in many areas, not just sensor technology. Thus, sticking a medium format sensor in a smaller body doesn't circumnavigate the drawbacks of medium format systems, it simply carries them over to a more pocket-sized body. One could argue that with the enormous megapixel counts of newer sensors, they are approaching medium format territory. So far though, it doesn't seem like theres a replacement for the quality that comes with having such a physically large sensor. Then again, we rarely look at images over 1MP in size due to the popularities of platforms such as Instagram. I think the new MF CMOS sensors are pretty spectacular. I'm not entirely sure what they are lacking, the image quality, tonality and flexibility out of mine is magnificent. I can push an exposure of straight mud about 5 stops and get shockingly usable images. The 50megapixel CMOS sensor is great, despite its 14-bit native color depth (but apparently, looking at Hasselblad's specs for the X1D, they overcame it). Then, there is the 100MP. You've got to try it to see how beautiful it is! The files are absolutely superb. If you try one, you'll want one even if you don't need one. 100MP with clean 12'800 ISO and 16-bit color depth, it's pure madness! I love my D810, but medium format still has got an edge over it in my opinion. I am not sure why there are any question marks in your rant. Go download sample tiffs from the phase one website on their 100mp camera. Open them up in capture one and then go and try to recreate the incredible image quality with 35mm. I will wait, it might be a while.